Are you too busy to have time to mow your lawn a few times a week? Especially if you have a big lawn or yard that need to be mowed and it takes up too much of your time. At our company, we understand your struggle and we can help you. We can send a gardener to mow your lawn for you. 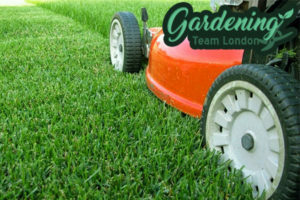 We are a gardening services agency and we deliver high-quality gardening services to people from London and the area. We can take this burden off your shoulders and mow your lawn with attention to details. Because when we do any job, we do it right. Our service is available for regular maintenance – daily, weekly, bi-weekly, monthly, etc. You can put an end to your lawn mowing problem once and for all if you hire our service for regular maintenance. Our gardeners are dedicated to their job and are detail-oriented. Our gardeners will use a mowing machine that is suitable for your grass area. If your lawn is small they can use a hand-held mower and if it is a big one, they have sit-on mowers as well. Our gardeners will pay attention to details such as mowing the grass around flowerbeds, walls and fences or pathways and decorations. And we guarantee you that our competent gardeners will not cut your grass too short which could actually can lead to bald spots and drying. Our gardeners have been around long enough and have worked on all types and sizes of lawns and yards to know very well what they are doing. They will adequately mow your grass area. 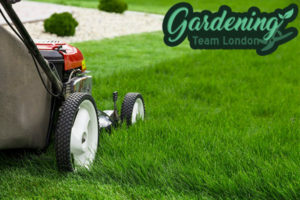 Get in touch with our company and hire our lawn mowing service now – it is the most affordable and efficient one in London.